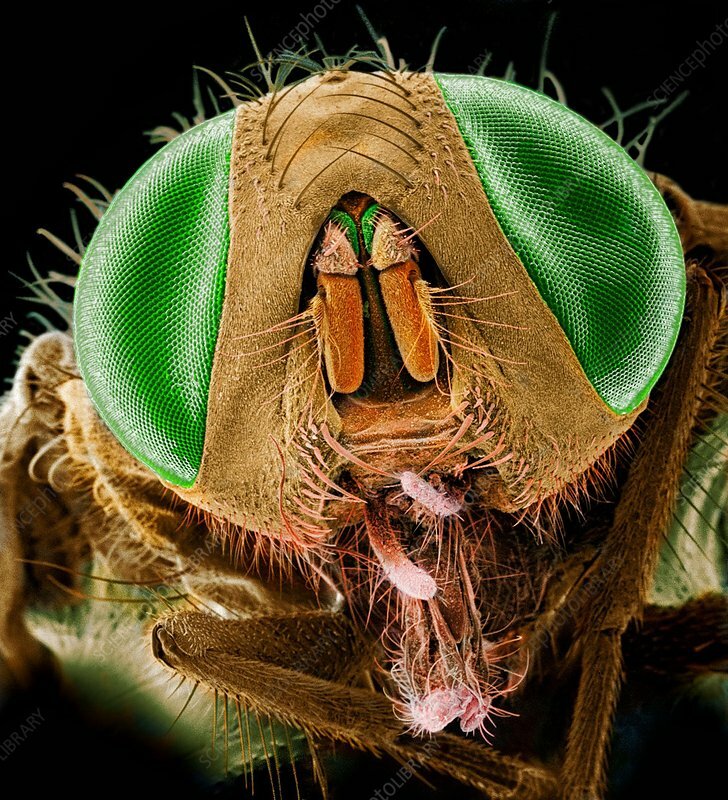 House fly (Musca domestica) head, coloured scanning electron micrograph (SEM). The large compound eyes are green. Magnification: x33 when printed at 10 centimetres wide.